As summer draws to a close and the days begin to shorten, the best time of the year is yet to come in Cornwall. Lots of locals will argue that September is the best month to spend in the county, with quieter roads to navigate, emptier beaches to explore and a jam-packed calendar of events to enjoy. With an array of great festivals, performances and excursions, read on to see which events this September that you may want to add to your schedule during your stay. Previously famed for its pilchard fishing industry, Newquay has since become a hub of activity for its surf and nightlife, but the town’s fishermen are putting the fishing industry back on the map with Newquay Fish Festival, reintroducing the importance of the local fishing industry and the wonderful array of seafood that can be sustainably caught in Cornish waters. The fish festival is a three day celebration of the freshest and finest seafood, with cookery demonstrations from local chefs, live music, and stalls selling a multitude of handmade crafts. The head chef and head sommelier of Jamie Oliver’s Fifteen Cornwall are also joining forces to present a demonstration on pairing seafood and wine, giving guests the opportunity to taste the results too. 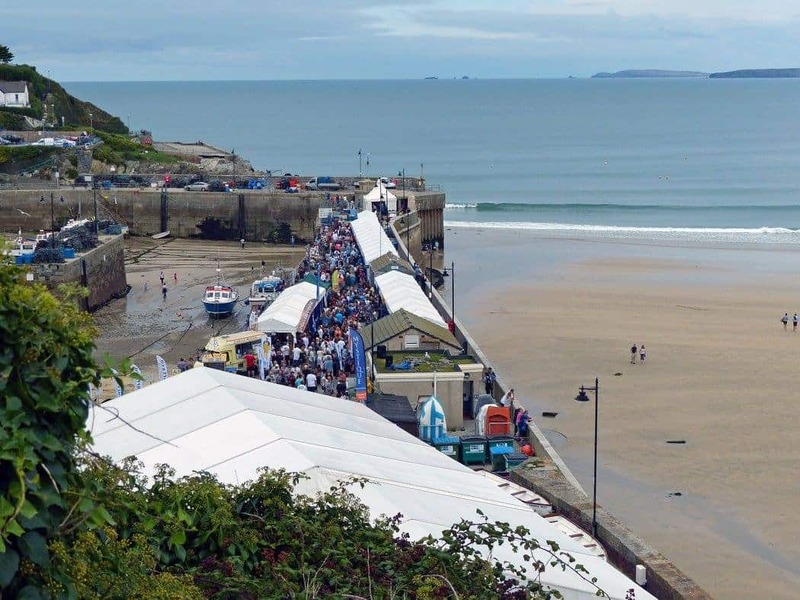 The festival will take place on Newquay Harbour from the 7 to the 9 September. Throughout September, Camel Valley Vineyard are offering tours and tastings in the grounds of their spectacular winery, a great opportunity to learn how all types of the tipple is produced. Family-run since 1989, Camel Valley is a former sheep and cattle farm nestled in the beautiful Cornish countryside just 30 minutes’ drive from Fowey, producing internationally award-winning wine, beer, cider and brut. Guests can choose from a grand tour and tasting for £15 per person, or a guided tour for £8.50 per person, both of which are relaxed and friendly due to the business’s down to earth and no-snobbery nature. The on-site shop also allows guests to take their new favourite tipple home with them, so be sure to leave room in your suitcase! We’d also highly recommend organising a taxi to and from the vineyard if planning a tasting, which one of our staff will be more than happy to book for you. 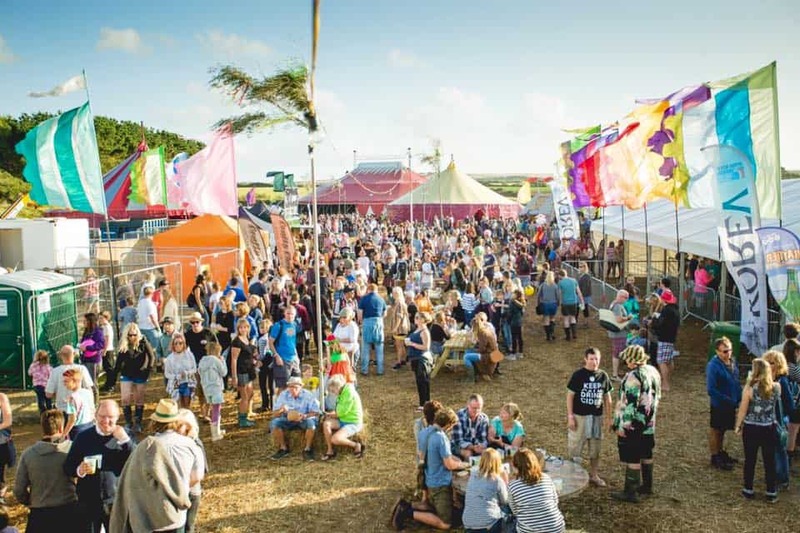 From the 8 to the 10 September, The Little Orchard Cider and Music festival will be returning to Healey’s Cider Farm in Penhallow for its fifth year, drawing together different ciders from all over the country. ‘Secret’ cider walks and cider tastings will be taking place throughout the weekend and even if you’re not a fan of the drink, there’s plenty of reasons to visit, including live music from local and national bands and artists, and a great selection of food stalls to choose from. Explore all Heligan has to offer on a wild food foraging excusrion with expert Emma Gunn. 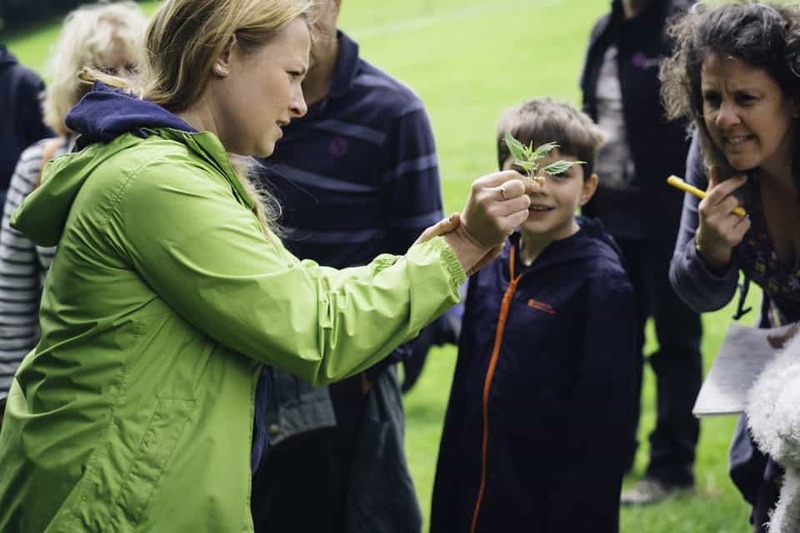 On Sunday 10 September, Emma will be leading a small group through the gardens and among the hedgerows, fields and woodland borders, identifying and educating visitors about the various edibles growing around the grounds within the multiple different habitats. Entrance to the rest of Heligan is included with a ticket to the wild food foraging course, so participants can also enjoy the impressive productive and pleasure gardens, and the exotic jungle trail. The course will run from 10am until 12pm and limited spaces are available, so booking is advised. For the third year running, Fowey Valley Music Festival will take place on Friday 15 September and Saturday 16 September in the beautiful and ancient Church of St. Fimbarrus in the centre of Fowey, a celebration of classical music throughout the ages. The two day event will welcome world-class performers to the town to perform their beautiful music in front of an audience, with the chance for conversation and Q&A’s across the two days. Tickets are available online at www.brownpapertickets.com or from Bookends in Fowey, with prices starting from £3.50. Each year, Cornwall’s only city, Truro, hosts a celebration of Cornish produce, the largest of its kind in the county. Visitors can expect a wide selection of food and drink available from the award-winning producers, farmers and vendors that will be sharing the space on Lemon Quay in the centre of the city, with lots of freshly prepared food to sample. 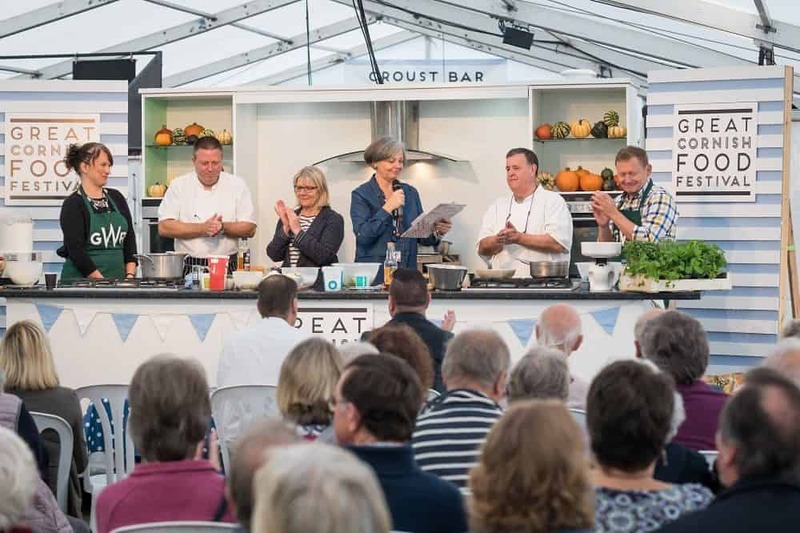 Watch how to make some delicious dishes with live demonstrations from the region’s top chefs; learn how to pair craft beer with food; and discover how to perfect the art of the ultimate Cornish pasty, among plenty more. Michelin starred Nathan Outlaw will be opening the three day festival at 10am on Friday the 22 September in the Sharp’s Theatre with a tutorial using his favourite Cornish produce. Originally built in 1832, the Gribbin Daymark was constructed to perform a similar purpose as a lighthouse, acting as an aid for sailors navigating the south Cornish coastline, creating a recognisable landmark so that the shallow waters around St Austell Bay weren’t mistaken for the deep waters of Falmouth harbour. The red and white striped tower will be open every Sunday from 11am to 5pm throughout September, and although it takes a little effort to climb the stairs, the stunning views will make it worthwhile. National Trust members are granted free access, with a £1 fee for everyone else. To explore more of the coastline around Fowey, have a look at our suggestions for nearby walks here. The National Trust Lanhydrock Estate is hosting an array of events throughout the month of September, including guided walks, seed sowing lessons and a 10 mile multi-terrain run. 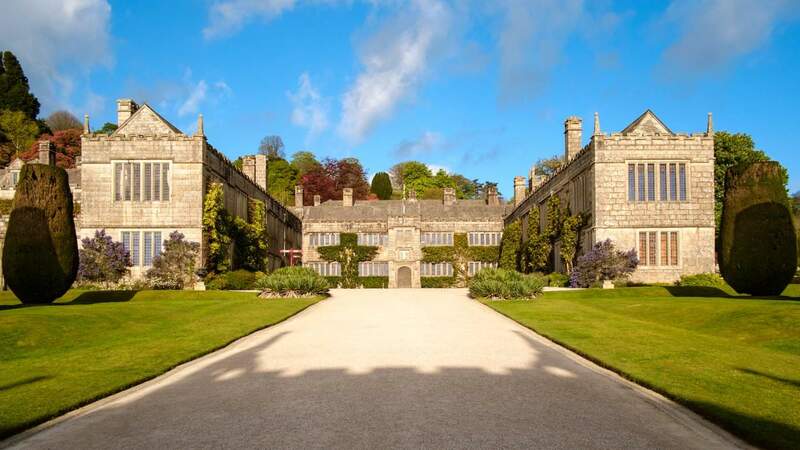 20 minutes’ drive from Fowey, Lanhydrock is a late Victorian country house with gardens, wooded areas and plenty of walking trails that makes a great day out. Guided walks are taking place every Thursday from 2pm until 4.30pm throughout September, with no booking fee required and completely free to join once admission to Lanhydrock has been paid. On Thursday 28 September, a Seed and Sow event will be taking place from 10.30am until 12.30pm within the award-winning gardens, during which guests have a great opportunity to join Lanhydrock’s talented gardeners collecting seeds from the herbaceous borders and learning how to sow them successfully in the plant nursery. In addition to the entrance fee, the course costs £6 per person. To book a stay at The Old Quay House this September, call 01726 833302 or email info@theoldquayhouse.com.